Great capacity for the transplantation of christmas trees, afforestation, windbreak planting and similar cultures. Greater comfort with planting wheel and ergonomic working position. 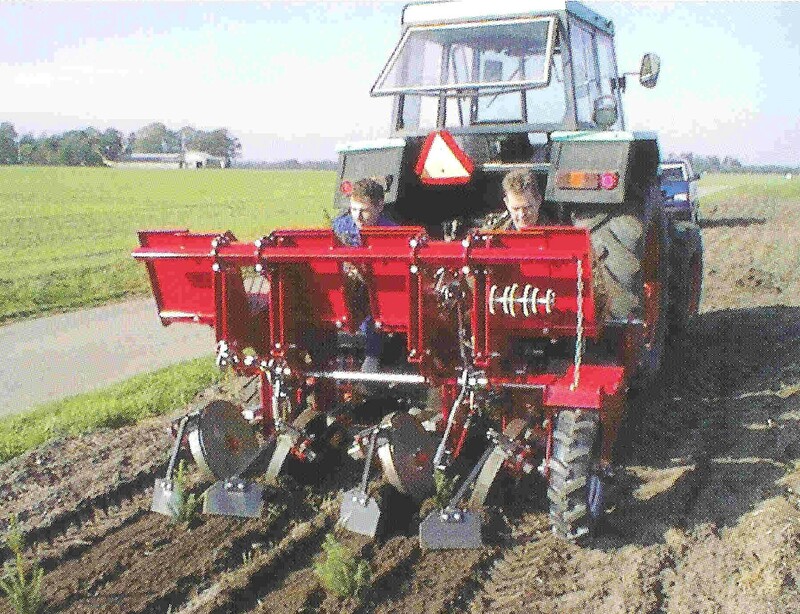 Precise planting distance and quick adjustment of the row distance with spindle from 90 – 160cm. Adjustment of the planting distance with gear wheel. Standard 60 – 70cm. Roller share and adjustable planting share. All weather cab, Furrow marker.